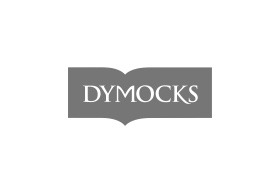 As a family owned business and the oldest Australian-owned bookstore, Dymocks prides itself on meeting the leisure, learning and gift needs of all booklovers. As a franchised network Every Dymocks store is owned and operated by locals who are extremely well-read and passionate about books. They do more than just sell books but rather support their communities by expanding their reading knowledge. Dymocks is constantly evolving to keep pace with today’s customer and prides itself on setting the standard in bookselling and leading the way with the same enthusiasm and progressive retail approach that has ensured its business success to this day. The latest new release books, bestselling authors, children's books, ebooks and more.